I make absolutely no excuse for my LOVE of cheese. Cheddar, gouda, the undisputed king of cheese – Parmesan, soft cheese and of course stinky cheese. I could go on and on making this into a Forrest Gump moment but I’ll spare you that speech. Currently, I have a new favorite…whipped feta. Oh my goodness! 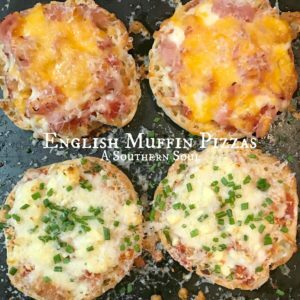 It’s so easy to make, goes with just about anything you are serving as an appetizer and stores beautifully in the fridge for several days. 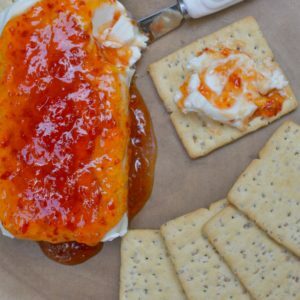 Of course, I have more things to say about my love of cheese but instead, I’ll just share the recipe…you’ll be happy I did. 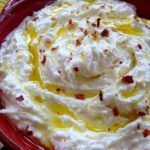 If you love cheese and want to try a new cheesy dip, this whipped feta may be the perfect solution. 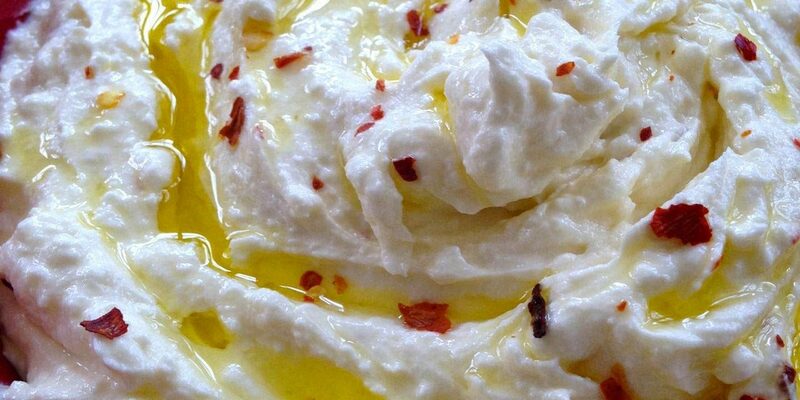 Place feta, cream cheese, lemon juice, garlic, olive oil salt and red pepper in a blender or food processor. 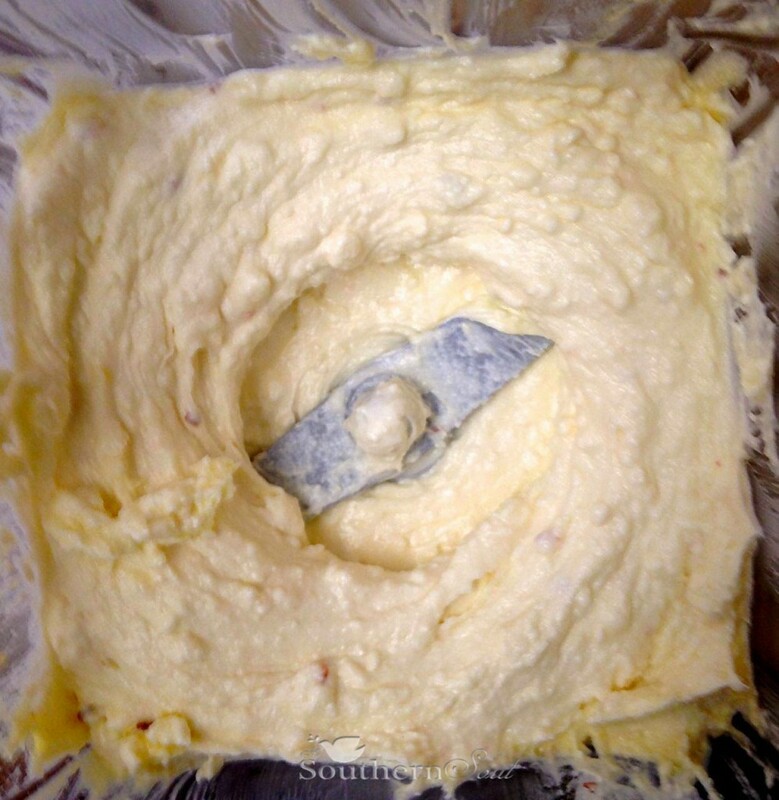 Pulse until cheese broken up then blend until smooth about 3 minutes. 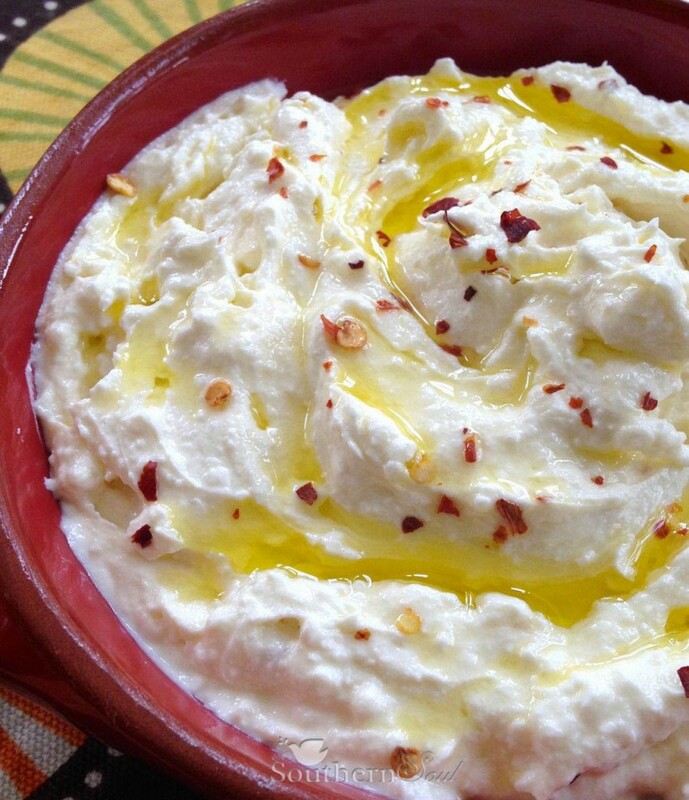 Spoon into a bowl and dress with additional olive oil and red pepper flakes. 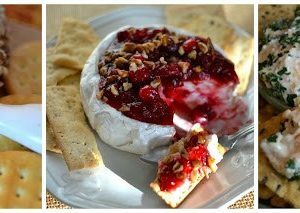 Serve with pita chips, crackers or chilled vegetables.